In Barnebys 2017 Online Auction Report: 15 Designated Designers - Trends and Insights, we focus on the development of the global market for fifteen of the most sought after designers of contemporary design. In our latest report, which focuses on design report, we can, thanks to greater transparency and increased access online, establish a strong growth in 20th century design. In the years 2009-2016, the market for design increased by almost 330%. Design has often been shown to be a better investment than art. 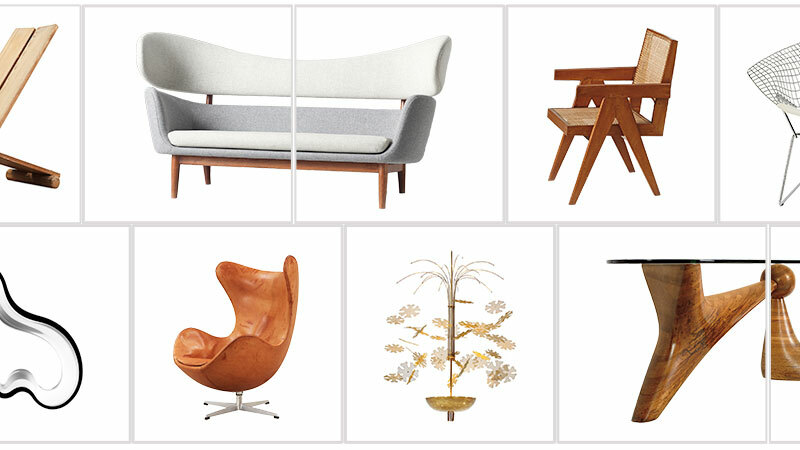 Thanks to online auctions, there is more opportunity to own iconic design furniture which has directly contributed to a dramatic increase in turnover for design. Whilst established designers may drop in price, collectors are on the hunt for the next big trend designers. Today's flea market finds could be your future pension. 90% of design objects sold at Scandinavian auctions are exported to international collectors, interior designers and design retailers. The value and price of design is controlled by the quality, uniqueness, condition, provenance and presentation. Auction houses curated previews, extensive catalogues and Instagram plays a crucial role in the final price - the more desirable a piece is made the more the bids will increase. ''Barnebys has opened up the auction industry for the mass and made a world of unique quality items available to everyone. Today, anyone can get their hands on iconic design furniture for a very modest price tag, while international collectors continue to pay millions of furniture and design objects of the highest quality,'' says Pontus Silfverstolpe co-founder of Barnebys. ''With over 31 million results from the previous auctions, Barnebys price data is among the most comprehensive in the industry. This report is based on a selection of the 15 most searched designers and show a strong growth in 20th century design,'' explains Hanna Schiller, author of the report. Barnebys Online Auction Report 15: Designated Designers - Trends and Insights is based on Barnebys realised price bank which consists of 31 million realised auction prices from 315 auction houses from 29 countries. The report is compiled by Hanna Schiller and Pontus Silfverstolpe. Special thanks to Ivan Macquisten. For inquiries, please contact: Pontus Silfverstolpe, pontus@barnebys.com.